The modular transmission is available in three versions. 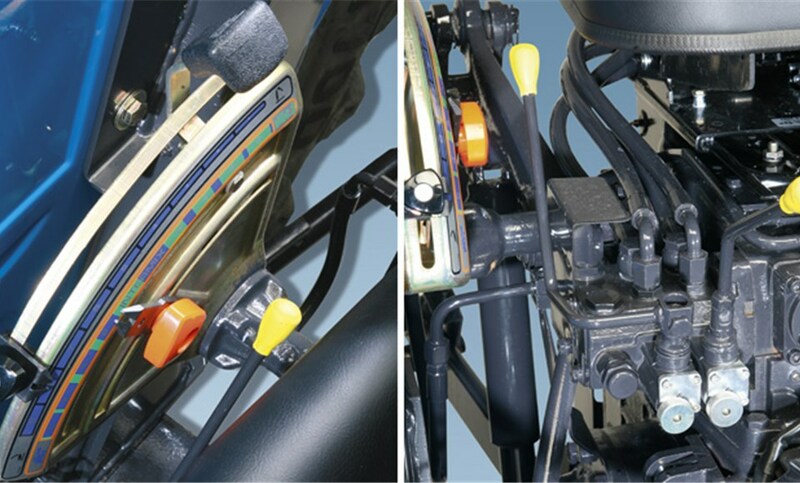 The base version offers 12FWD+4REV speeds without reverse shuttle. The second version offers 12FWD+12REV speeds with mechanical reverse shuttle and the last version be integrated with a creep speed option to provide a total of 24FWD+12REV gears. 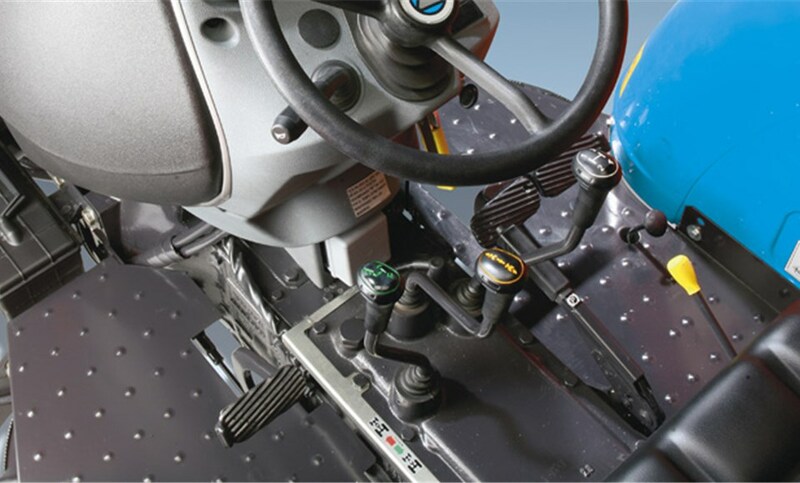 The centrally-located reverse power shuttle lever allows reversing all gears and engaging the creep speed option. 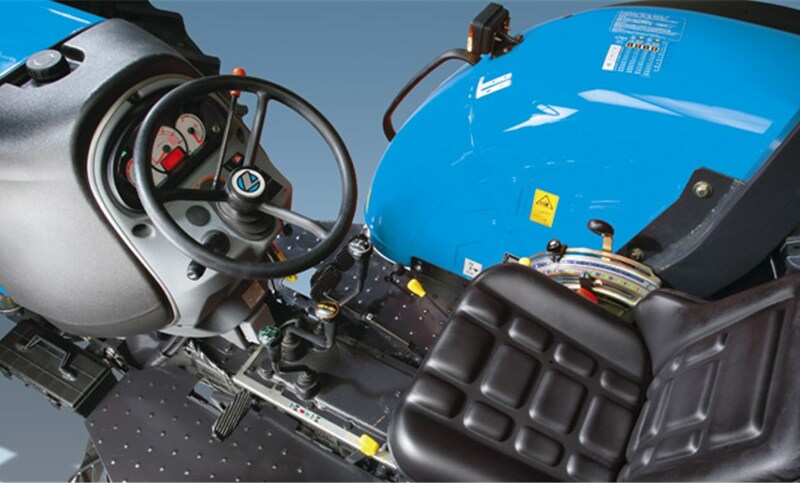 With fully adjustable sprung seat, hydraulic steering and ergonomically-arranged controls, comfort, the driver’s seat allows the operator to work with maximum comfort. The two-post ROPS can be optionally equipped with a sun canopy. The hydraulic system provides a maximum total flow of GPM 20,2 (76.5 l/min). Equipped with Cat. 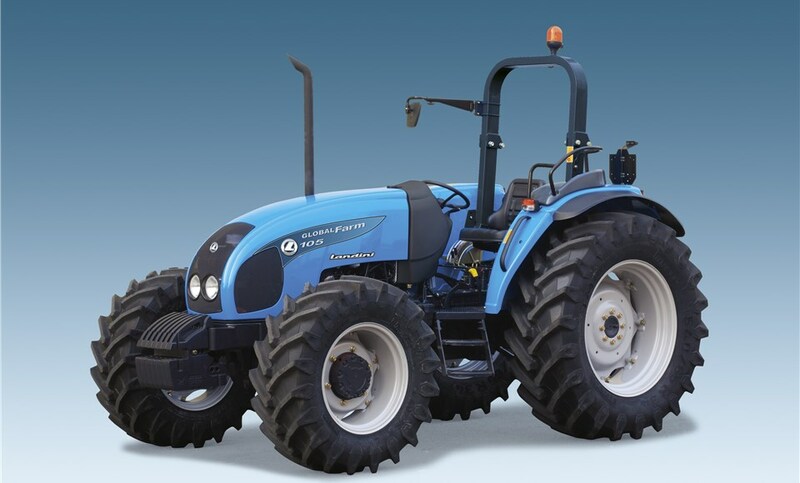 2 three-point linkage, the mechanical power lift provides position, draft, intermix and float control functions while ensuring a maximum lifting capacity of lb. 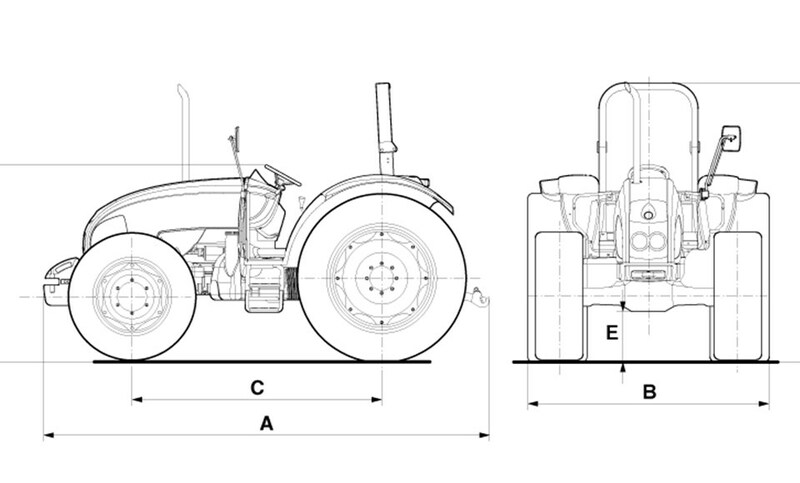 9570 (4350 kg). 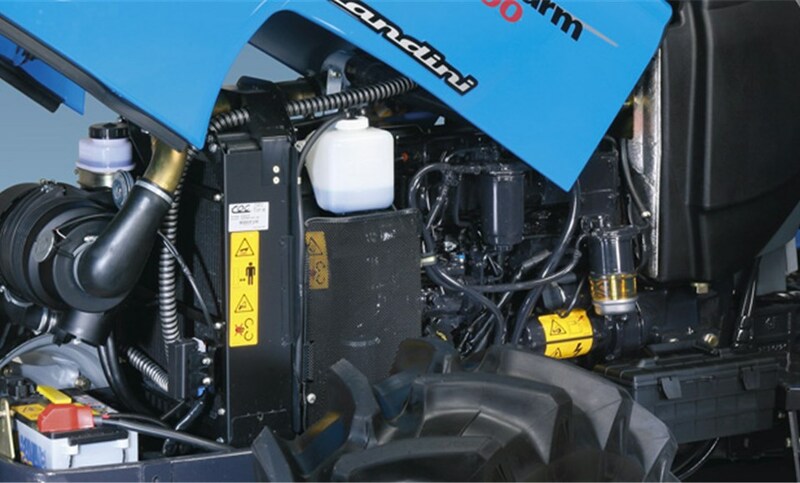 The Globalfarm tractors features one standard and two optional simple- and double-acting auxiliary valves.